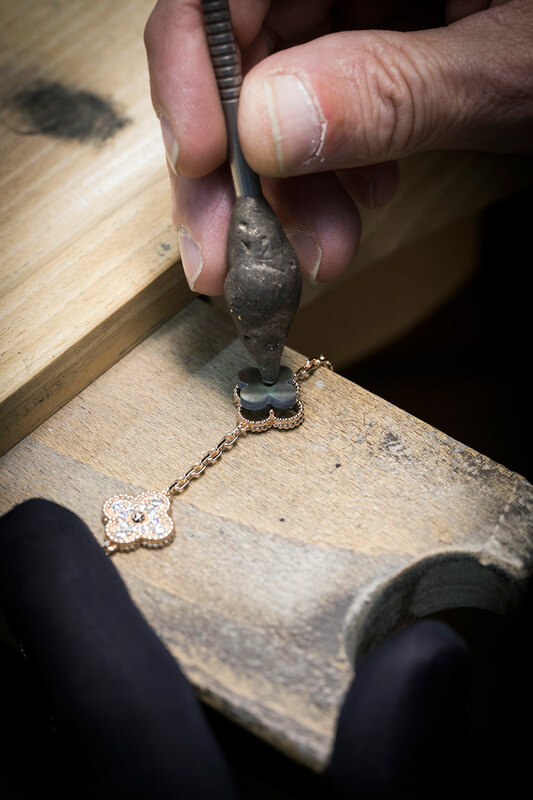 Van Cleef & Arpels' making of Alhambra long necklace. Photo © Van Cleef & Arpels. 2018 marks the 50th anniversary of the Alhambra, the iconic design of fabled jewelry house Van Cleef & Arpels that has been resplendently gracing women in a plethora of variations for half a century now. 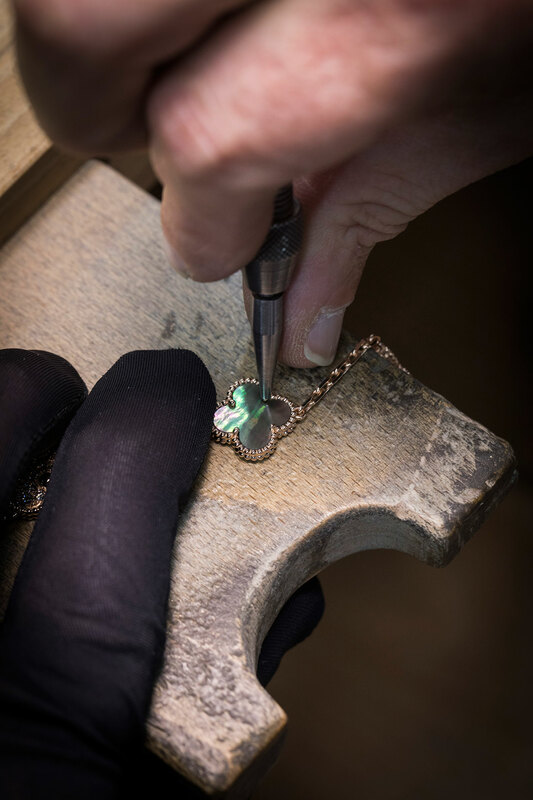 Continuously worn for the past five decades by fashion icons such as Princess Grace of Monaco, Lyn Revson and Heidi Klum, the Alhambra is one of the most emblematic and popular designs of the Parisian Maison, and yet it retains a mystery that along with its “woman friendly” ethos underpins is timeless allure. Celebrating this unique legacy, the Maison organized a festive event in Marrakech in Morocco that Yatzer’s own Costas Voyatzis was honored to be invited to. 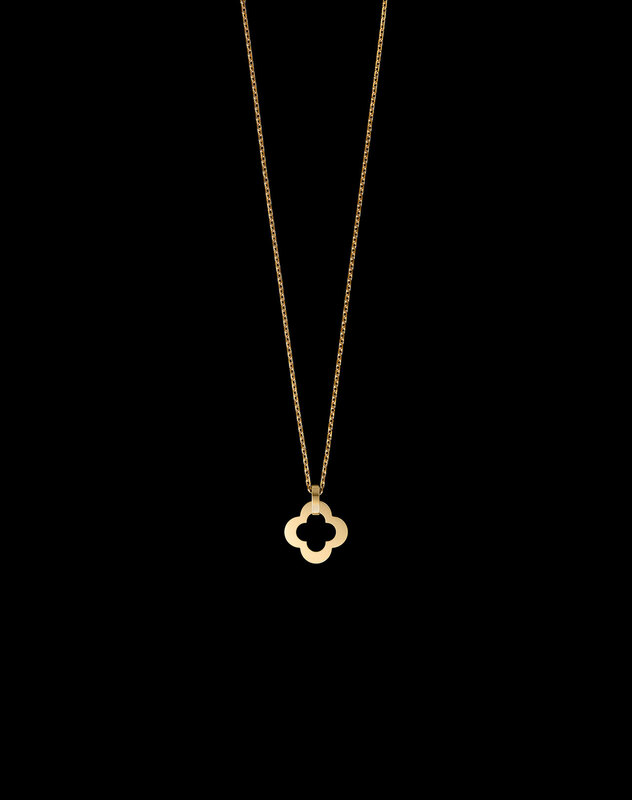 The Alhambra story begins in the autumn of 1968, when Jacques Arpels, inspired by the trove of decorative patterns he encountered on his travels, created a four-leaf, clover-shaped gold medallion. 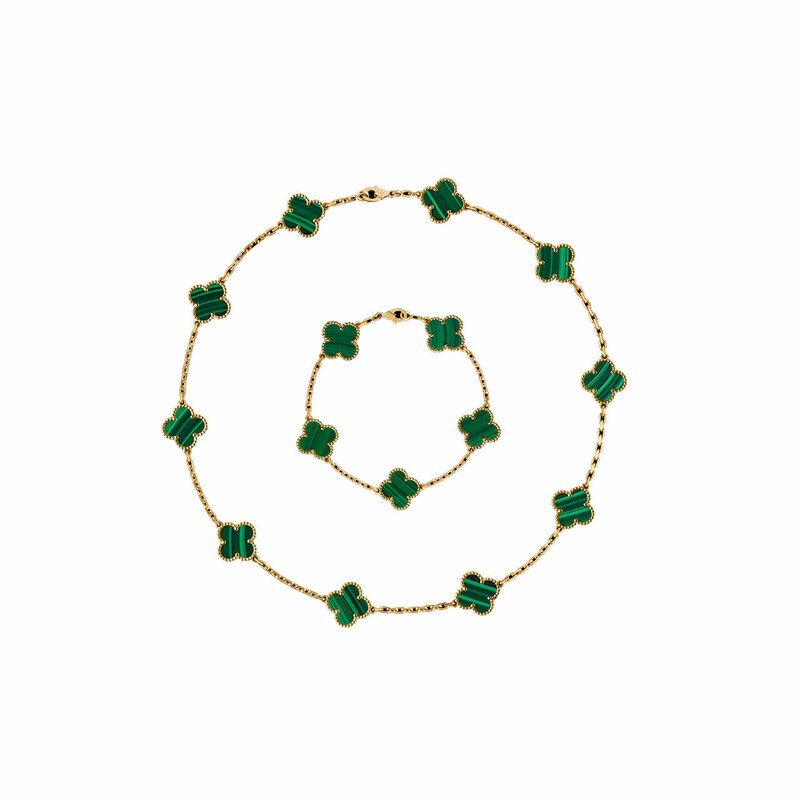 Channeling both the traditional Moorish quatrefoil and the decorative motifs of the Doge’s Palace in Venice, as well as the lucky four-leaf clover—Jacques Arpels, a believer in lucky talismans, would often search the garden of his house in Germigny l'Evêque for 'lucky' four-leaf clovers—the exact provenance of the Alhambra’s shape remains shrouded in mystery which only adds to the design’s inimitable elegance. 'An Afternoon with Audrey Manay in Paris' (2018). 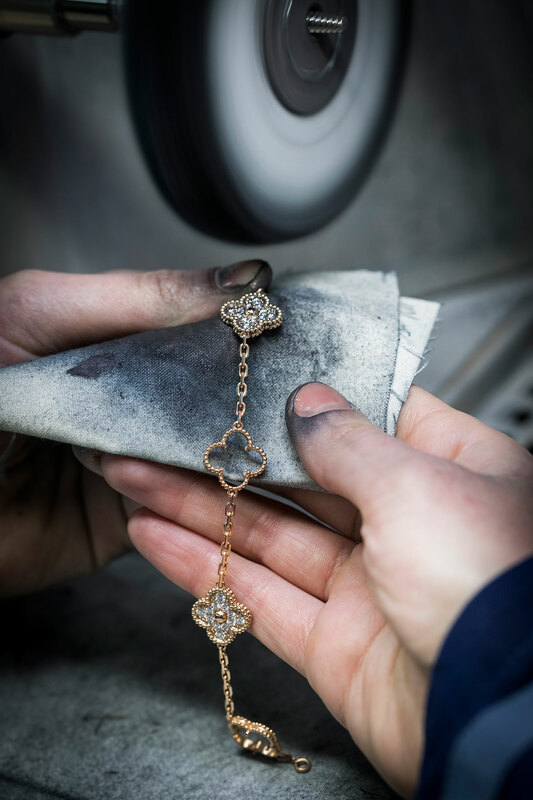 Van Cleef and Arpels' Alhambra collection photographed by Damian Foxe. © Van Cleef and Arpels. Actress Romy Schneider in 'Love at the Top', film by Michel Deville, 1974. Photo © Leonard de Raemy / Sygma / Getty Images. Sometimes the simplest of designs has the maximum of impact, and the Alhambra, created during a volatile period of social transformation—a few months earlier in May of 1968 Paris was rocked by widespread student protests and general strikes—instigated a cultural revolution of its own. A departure from the Maison’s high jewellery pieces designed for an exclusive clientele of shahs, princesses, film stars and tycoons, the Alhambra challenged the notion that fine jewellery was the exclusive prerogative of formal evening events by popularizing a ready-to-wear concept of daytime jewellery that encouraged women to combine luxury pieces with casual clothes. Key to this fashion shift was the contemporaneous trend of haute couture designers such as Pierre Cardin and Yves Saint Laurent introducing causal wear in their prêt-à-porter lines. At luck would have it, their boho-chic kaftans, safari suits, tunics and daywear dresses were a perfect fit for the Alhambra design. Despite its groundbreaking impact, it would be wrong to interpret the Alhambra as a radical break from the past. 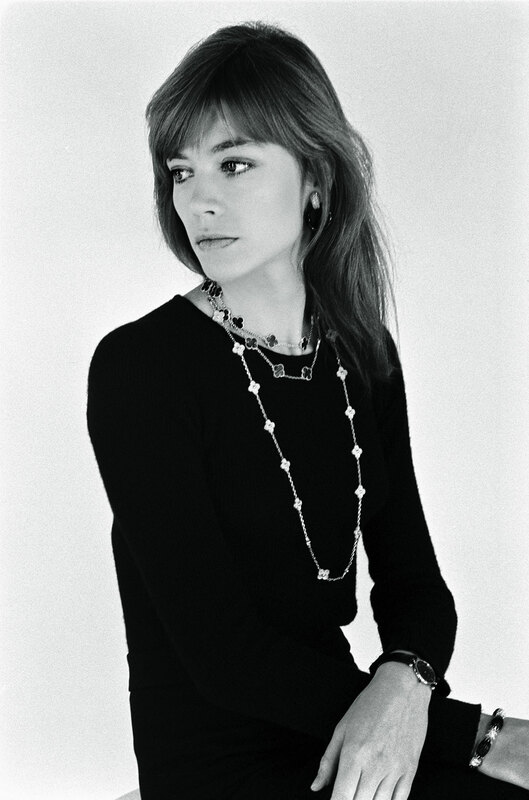 In fact, the easy-to-wear jewellery concept had been introduced by Van Cleef & Arpels back in 1954 with the opening of La Boutique next to its historical headquarters in Place Vendome, a store catering to “a new type of woman, one making her own money and buying her own jewellery”, as author and historian Nicholas Foulkes eloquently writes in “Alhambra”, a commemorative book published by Éditions Xavier Barral in collaboration with Van Cleef & Arpels. Instead of a rule-breaker, think of the Alhambra as an evolutionary step in the company’s 100-year-old history, which saw the Maison successfully transition from the last embers of the Belle Époque at the begging of the last century, through two world wars and the sexual revolution of the 1970s to the prestigious brand that it is today. In the words of the company’s president and CEO, Nicolas Bos, “Alhambra is an expression of change through continuity”. 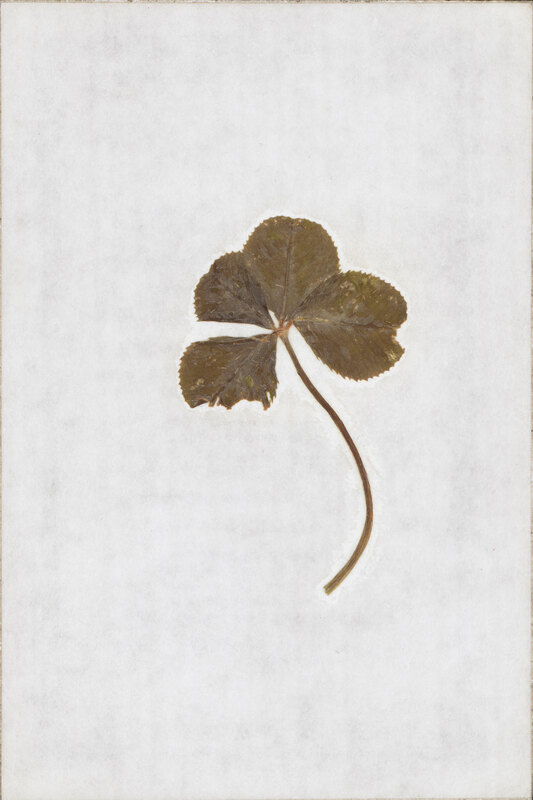 A four-leaf clover, a rare variation of the common three-leaf clover that Jacques Arpels considered a lucky charm. © Van Cleef & Arpels. 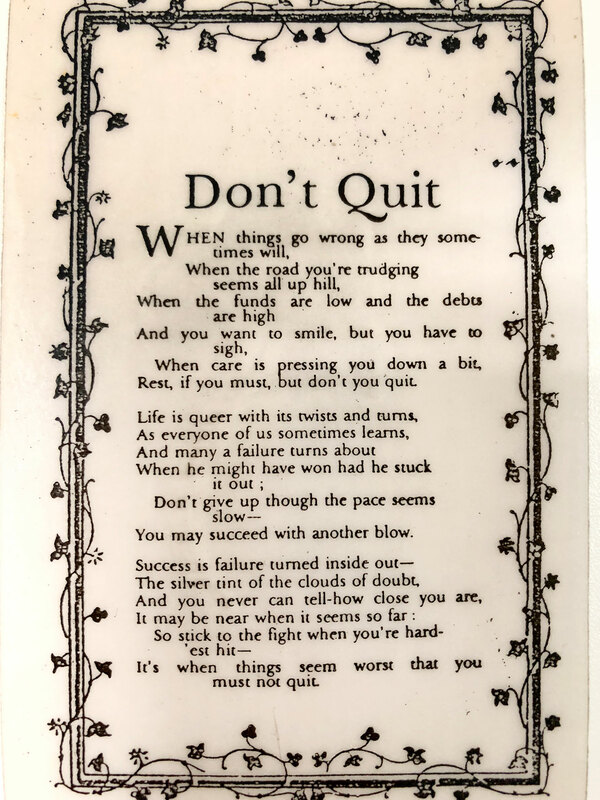 'Don't Quit', poem probably written by John Greenleaf Whittier (1807-1892). Jacques Arpels often gave to his staff four-leaf clovers picked from his garden along with this ode to perseverance and good fortune. © Van Cleef & Arpels. 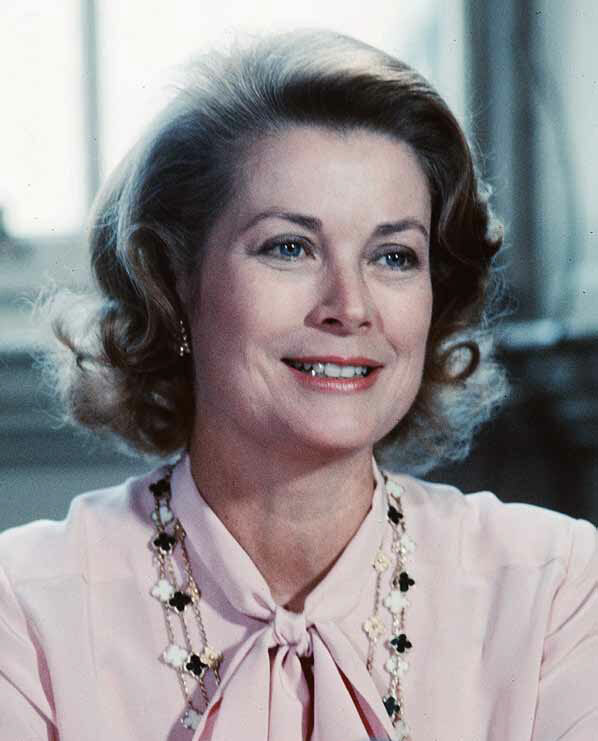 Her Serene Highness Princess Grace of Monaco, at a poetry reading in Edinburgh, 1979. © Anwar Hussein/Getty Images. When it came down to selecting a location to celebrate the Alhambra’s half-century anniversary, Marrakech could not have been better suited. A glamorous city of ancient souks and tree-lined boulevards where the decorative of splendor of Moorish architecture is interwoven with the ingrained sophistication of its French cultural heritage, Marrakech is the urban embodiment of Alhambra’s sensibility. The fact that Marrakech is also the home of the Yves Saint Laurent Museum—the city was the designer’s favorite refuge where he designed many of his collections—makes the choice even more befitting. We had a chance to visit the Yves Saint Laurent Museum during the day-long celebration after having lunch in the manicured garden of the French consulate where we were also treated to a precious display of vintage Alhambra jewellery curated by Van Cleef & Arpels heritage director, Catherine Cariou. Two additional surprises awaited us at the Consulate, a dressing-up tent by the pool where guests could try on vintage couture pieces by designers such as Paco Rabanne, Yves Saint Laurent, Pierre Cardin and Karl Lagerfeld for Chloé, along with fedora hats and feather boas, and a group of artisans who demonstrated in front of us the craftsmanship required, from selecting and hand-cutting to polishing the stones, in creating an Alhambra piece of jewellery. Byzantine Alhambra pendant, yellow gold, 2018. Photo by Patrick Gries © Van Cleef and Arpels. Pure Alhambra, yellow gold, white mother-of-pearl, onyx, 2018. Photo by Patrick Gries © Van Cleef and Arpels. 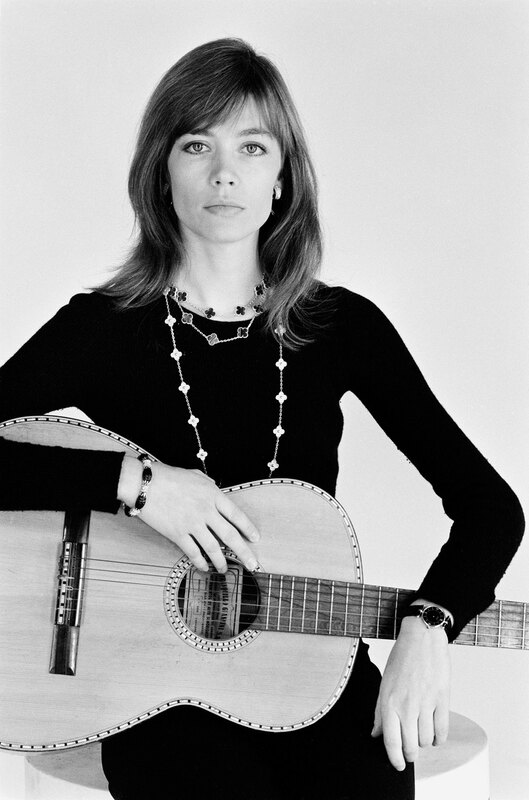 Françoise Hardy wearing Alhambra collection necklaces photographed by Catherine Rotulo, 1974. © Catherine Rotulo. After a visit to the enchanting Majorelle Garden, French painter Jacques Majorelle’s labor of love that is also the final resting place of Pierre Bergé and Yves Saint Laurent, the day ended in the most spectacular manner at the ruins of the 16th-century El Badi Palace, a once lavish architectural complex of 300 rooms decorated in gold, turquoise and crystal, whose construction was influenced by none other than the Alhambra Palace in Granada. Dinner was served in the palace’s courtyard, amongst thousands of twinkling candles in a magical setting of reflecting pools and citrus groves. 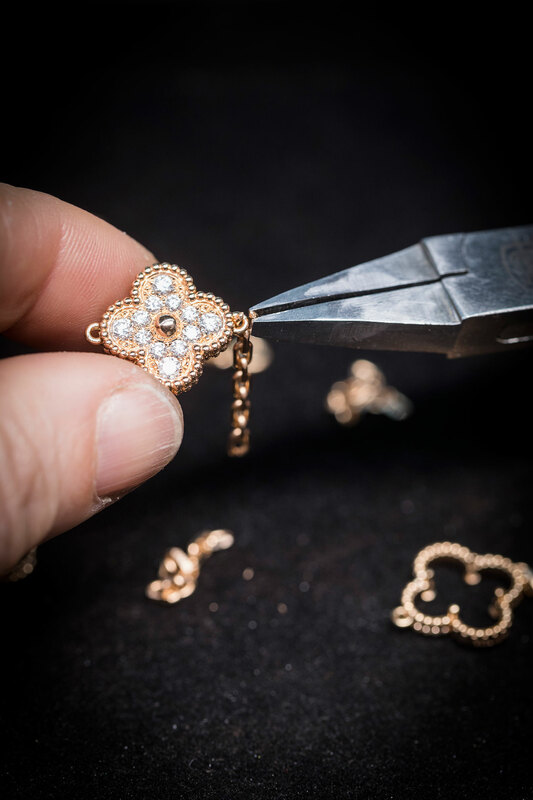 With six collections, comprising 226 pieces of necklaces, sautoirs, bracelets, pendants, earrings, watches and even cufflinks, and making up roughly half of Van Cleef & Arpels’ total jewellery offering, the Alhambra has come a long way since that first gold medallion fifty years ago and from what we can see, it still has a very long way to go. Vintage Alhambra bracelets. Photo © Van Cleef & Arpels.